Hands to Care is designed specifically for university students who are interested in pursuing a career in medicine, global health, public health, etc. Trips are available during winter, spring, and summer breaks. 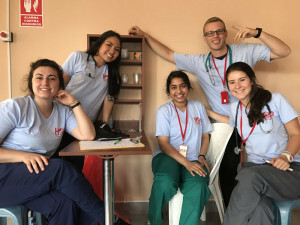 As a Hands to Care volunteer, you will get a once in a lifetime experience learning the ins and outs of health care in Trujillo, Peru from local health professionals. 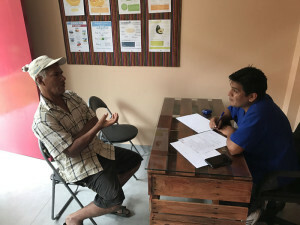 Volunteers will get to partake in special health campaigns in CESAPU 2-3 times per week, and they will rotate in the Peruvian hospitals and health centers 2-3 times a week. The 5-week Hands to Care program will give our interns over 100+ hours of direct patient contact and medical observation. 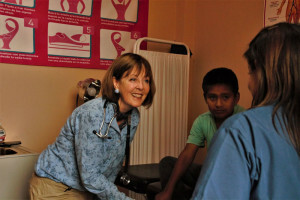 Also included in the Hands to Care program are 3 medical classes per week, taught by HOP staff of health professionals. These medical classes will help prepare you for what you will see/do in the HOP clinic and in the hospitals. No previous medical experience is required, as you will receive adequate training in these classes. 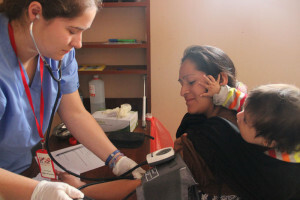 Class topics include: Vital Signs, clinical history, public health in Peru, administering vaccinations, labor & delivery, chest & respiratory exams, suturing, glucose tests and more! 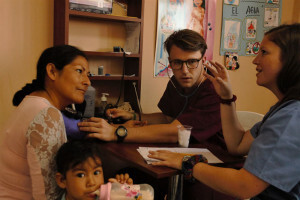 All Hands to Care volunteers will receive assistance in Spanish medical terms and are expected to study in their down time and before the session to be able to better assist to the patients in health campaigns. 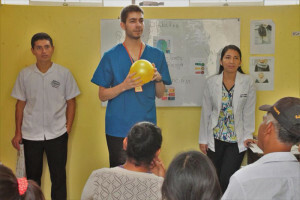 Hands to Care volunteers will get exclusive access to participate with the family medicine residents from Universidad Nacional de Trujillo, as well as exclusive access to local doctors, nurses, and other health professionals for observation and learning purposes. All volunteers are required to take the Global Ambassadors for Patient Safety (GAPS) workshop before their arrival to Peru. All volunteers are responsible for bringing the following: scrubs, stethoscope, blood pressure cuff, lab coat. Triage: The volunteer will be expected to be able to take height, weight, blood pressure, respiration rates, pulse, and clinical history in CESAPU. Additional: The volunteer will also be trained to do the following: glucose meter tests for diabetes, vaccinations, and other non-invasive basic medical procedures in CESAPU. 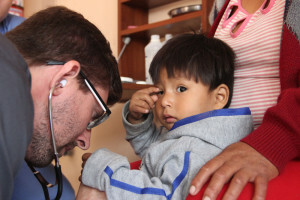 Interns who are in graduate health programs: Please see group mission trips if applicable. Additional: The volunteer will also be trained to do the following: glucose meter tests for diabetes, auscultation exams, and potentially assist the nurses with administering vaccines. Students already in post-graduate programs will be encouraged to get more hands on experience with the patient under the supervision of a physician. They may be able to assist with pap smears and/or prostate exams. Physical therapy, chiropractic students and dental students will be able to get experience under their respected licensed doctors as well. Research: All graduate students enrolled in Hands to Care will be required to produce their own investigative study. Topic can be of your choice, and you will be accompanied by local doctors and HOP staff to help guide you, but you are ultimately responsible for your investigation project. All tools and equipment necessary for the health and education campaigns.